Reach 15000 points within 90 seconds to complete the level. This level is little hard as time is limited and the candy board have meringue blocks and chocolates that increase automatically. To complete this level you need to break candies fast and should try to break near chocolates so candy board will have more candies and can make special candies easily. You can make special candies like striped candy by matching four same color candies or wrapped candy by making ‘T’ or ‘L’ shape or match 5 same color candies to make colorbomb and then try to combine special candies with each other to break more candies to get more points. As you break more candies with special candies you will have time bonus candies that you should try to break fast to get more chance to play and can easily reach requirement. 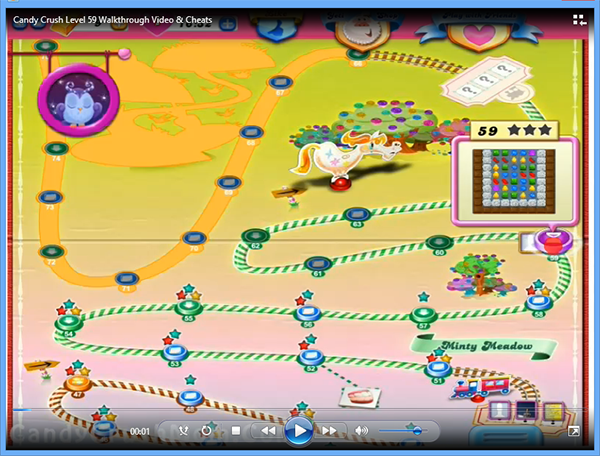 We complete this level with 31400 score by focusing more on special candies and on breaking time bonus candies.